Visit our customer advice centre where you can access video demonstrations to the changing of spare parts and product maintenance, and downloadable trouble shooting guides. The technical nature of our products along with the wide range of models available to the user, often means that selecting the right equipment for the right application isn’t necessarily straightforward. Here you will find guides to our products to make this easier. The Oil Tank Pack is an essential guide to all things oil heating. For properties who fall off the National Grid and rely on oil for their heating and hot water, this is a must read. From how to inspect your tank, to what you need to do in the event of an oil spill, this pack covers all aspects! Accidentally putting AdBlue in your diesel tank can have costly consequences. This guide gives information on what you need to do should a driver miss-fill the vehicle and also provides a solution to prevent this from happening. The Fuel Security Monitor is dedicated to provide users of diesel and heating oil with regular fuel theft bulletins, which can be filtered by region depending on your location. It is also the place to go for fuel security advice and tips on how you can deter thieves from sniffing round your tank! Available is an unbranded and unpriced electronic version of the CTS Catalogue for you to use as your own. With none of our details on, this PDF is ideal for putting onto your website or downloading to send to your customer. 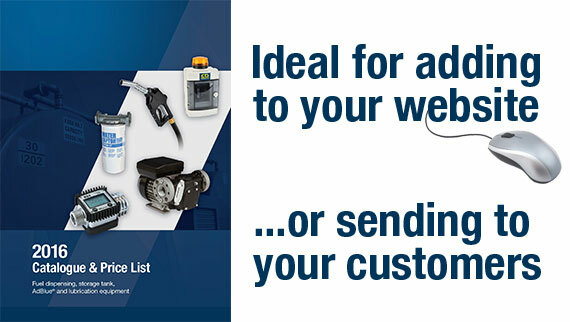 View our product download area if you require any of our equipments’ product instruction manual or spare part list.